I really enjoyed “From Baghdad, with love“. The graphic language was disturbing but that is what made it such an interesting read. It was raw and real and opened my eyes to what our American soldiers have to deal with. “From Baghdad, with Love” is written by a United States Marine, Lieutenant Colonel Jay Kopelman with Melinda Roth. 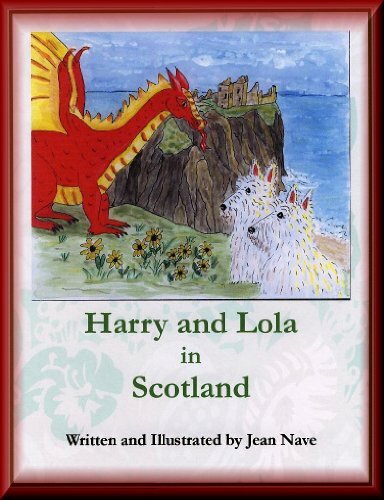 And I should warn that it should not be read by young children. The realities of war are ugly and this marine doesn’t hold back. 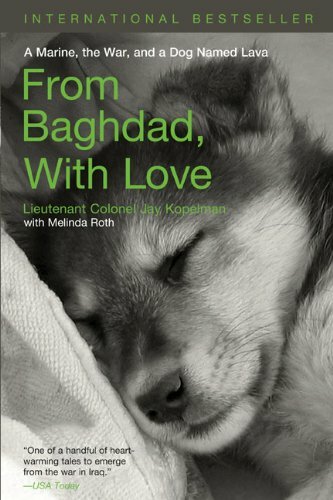 “From Baghdad, with Love” is about the Marine Jay Kopelman and a puppy he met in Fallhujah. This puppy was found in an abandoned house which the Marines were storming. As they eased into the house to do a search, they heard clicking noises and thought it could have been the enemy taking the pins out of grenades. They were awfully surprised when they found this cute little puppy instead. The Marines named the puppy Lava for the nickname of their own battalion, the Lava Dogs. The Lava Dogs are the First Battalion, Third Marines and they named themselves as such for hard rock in Hawaii where they trained. As the Marines care for Lava, it soon becomes very clear that they will need to do something with him before they leave. Lava has become dependent on people and will surely die if they abandon him. But since they were not allowed to take care of Lava in the first place, finding a way to save him is difficult to the extreme. But that is not the only thing that makes saving Lava problematic. It is not easy getting a dog out of Baghdad. Paperwork has to be completed. Borders are highly guarded and it is difficult for anyone to pass the border. The Marine couldn’t do it by himself because he was on duty. He got a reporter, an Iraqi, a military dog handler, and many more people to help. Lieutenant Colonel Jay Kopelman also shares some information about the elite military working dogs. These dogs definitely save lives since they are a thousand times better than any machine that humans have designed to detect bombs. As such, they are treated extraordinarily well while in service. But the reality is that when they retire, most are unadoptable and so have to be euthanized. War is ugly. You have to wonder how these men and women involved make it through. 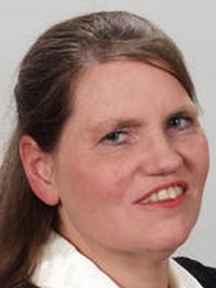 How is it that they all don’t end up with post-traumatic stress syndrome? When all they are doing is killing and seeing death, how can they keep their sanity? “From Baghdad, with Love” is amazing because it shows that even when surrounded by the most inhumane conditions, that these trained killers can still be subdued with human emotion. If a fuzzy ball of fur can melt the heart of a trained killer, then there is hope for us all. 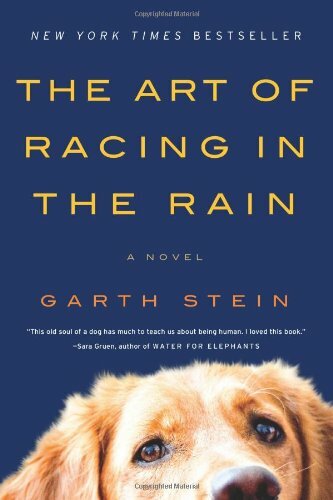 I didn’t realize when I bought this that a short story about Toby story is also in “Chicken Soup for the Dog Lover’s Soul, What I Learned from the Dog”. 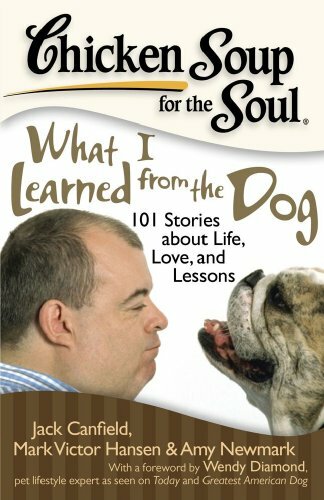 In the “Chicken Soup” book, Toby was featured as a great therapy dog. With his help, people at the hospital were taught patience, assertiveness, and more. But “On Toby’s Terms” by Charmaine Hammond was about much more than just how Toby helped people at the hospital. Toby had some issues… some fairly severe behavior issues which the owners Charmaine and Christopher had to work through and eventually accept. This is a joyous story. 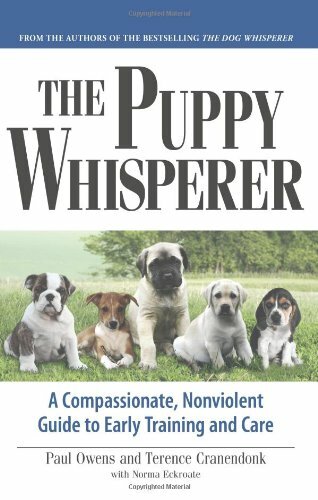 I love reading stories about dogs, especially real dogs who have made a real difference in people’s lives. Charmaine stated in her book that both she and her husband Christopher are better people because of Toby. But according to Toby’s story, they aren’t the only ones who were touched by this special dog. Toby’s behavior issue was a severe form of separation anxiety. When Charmaine and Christopher left Toby alone for even a short time, they often came back to a house destroyed. he tore up closets, emptied bookshelves, and broke the lid on the toilet. Charmaine jokes about how many toilet lids they have to replace, but coming home to such a mess was not funny. Charmaine and Chris tried everything they could think of to help Toby with his problem. They hired a dog behaviorist, tried crating him, and they gave him a job. It was the dog behaviorist’s idea to give Toby a job. Toby’s separation anxiety probably stemmed from losing his previous owner who went to the hospital and never came back. Toby was probably unsure about his place in the world and having a purpose might help. So Charmaine got Toby enrolled as a therapy dog. Ever Wednesday, he went to the hospital and brought joy to many of the patients. Toby excelled, but his separation anxiety did not go away. It lessened and Toby made great improvements, but even today he still has issues. 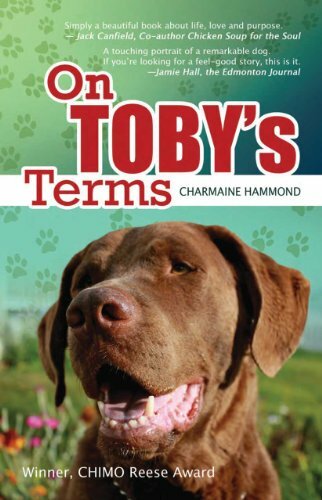 So “On Toby’s Terms” isn’t about how Charmaine and Chris cured Toby’s problems, it is the journey of how Toby came to be a better dog and Charmaine and Chris had their lives enriched because of him. Toby did some naughty things, but he is such a happy-go-lucky dog that a his owners still cherished him despite his short-comings. If a dog can give unconditional love, doesn’t it stand to reason that we should give it back in return? “On Toby’s Terms” is an inspirational story that we can all learn from. No one and no dog is perfect but we all have something to give if only given the chance. 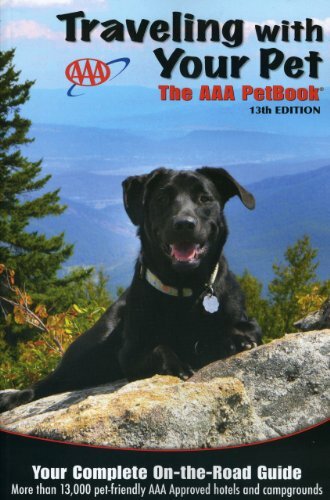 Read about Toby’s journey and adventures in “On Toby’s Terms” and you will not be disappointed.